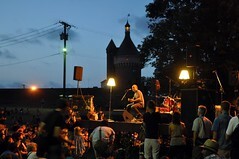 Play at Fort Reno this summer! Do you want to play as part of the Fort Reno concert series this summer? It’s your lucky day. Get your demo together and submit it to Fort Reno’s Amanda MacKaye, and that does mean physical media, so get your record on, garage bands of DC and get ready to play DC’s most awesome free stage.